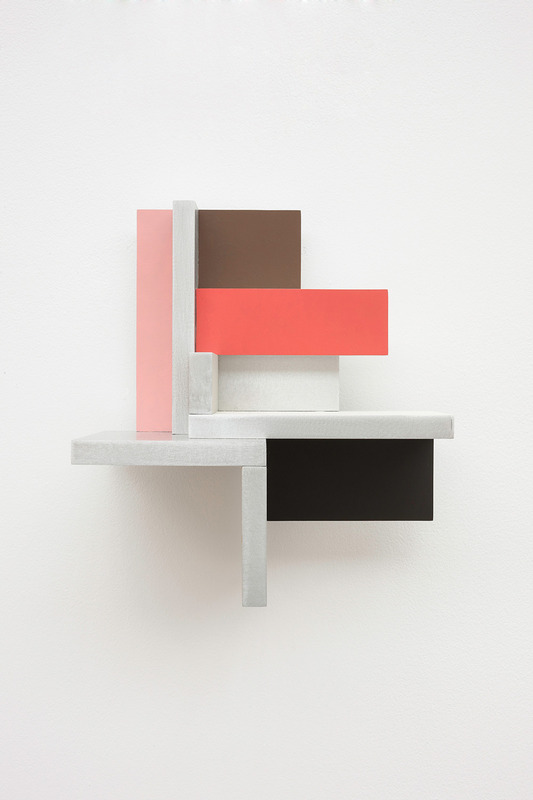 The Modern Institute is delighted to present ‘Soft Boundary’, a solo exhibition of new work by Toby Paterson. 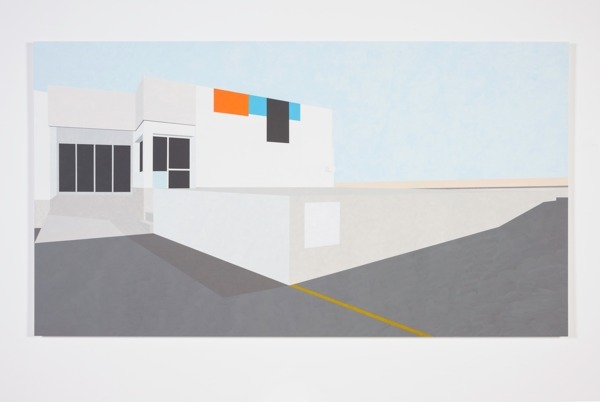 Paterson’s work is underpinned by an enquiry into urban space and the effect of Modernist tradition in architecture and design. Exploring the significance of spaces which have been marginalised in the social landscape, Paterson’s work develops from a process of experience, documentation and interpretation. 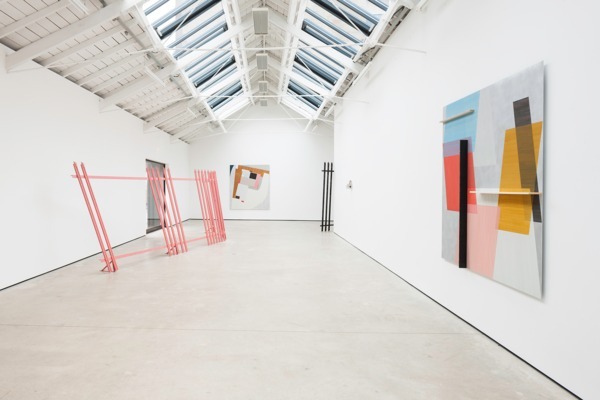 For his third exhibition at The Modern Institute, ‘Soft Boundary’ is an attempt to use the gallery as a space to gather a variety of responses to a split-second visual and spatial experience. Through painting, relief and sculptural intervention, Paterson intends to communicate this moment of fascination felt from his own exploration of Glasgow’s urban environment. 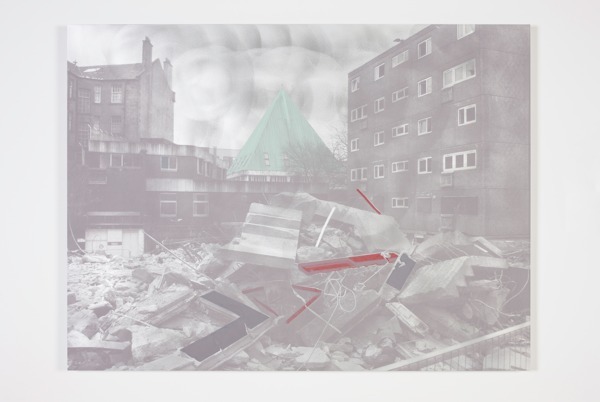 Responding to a specific site on the outskirts of the Red Road scheme in North Glasgow – a place that embodies architectural concepts which both thrill and horrify Paterson, ‘Soft Boundary’ also repeatedly comes back to painting; through the composition of colour and shape under the simultaneous influences of considered intention and total chance. Demarcating our route through the gallery space are sections of partially degraded palisade fencing. 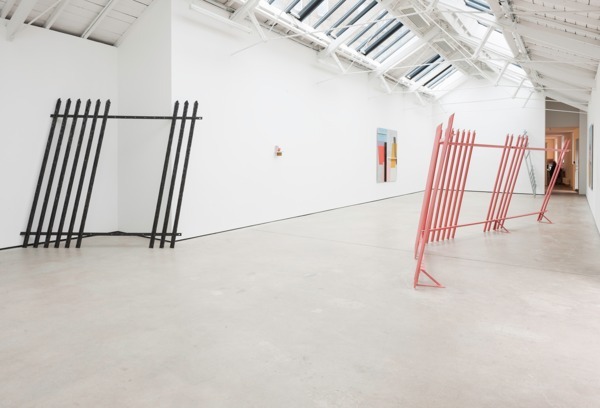 Made from galvanised steel and painted from a palette of block colours, these fences tender a control over how we navigate and experience this environment. Devoid of their usual functionality, these interventions prop almost open-ended, re-directing the narrative from the spaces they indicate. 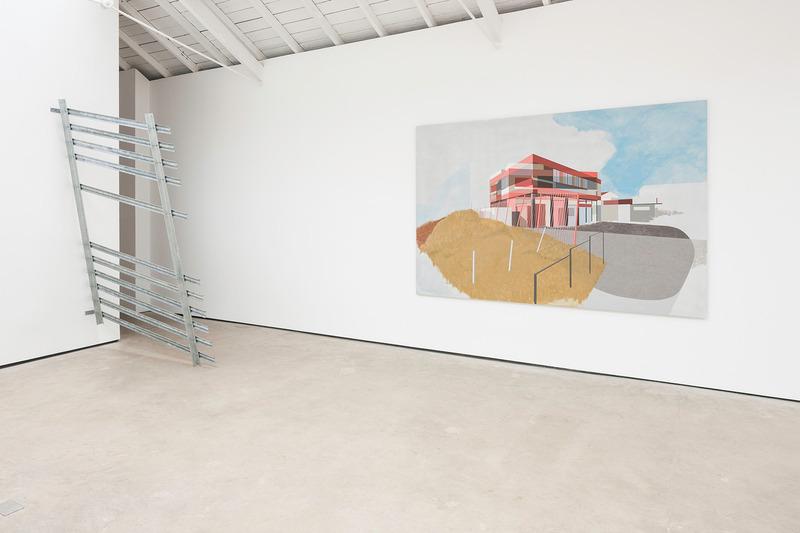 Large-scale paintings on aluminum are installed throughout the space. 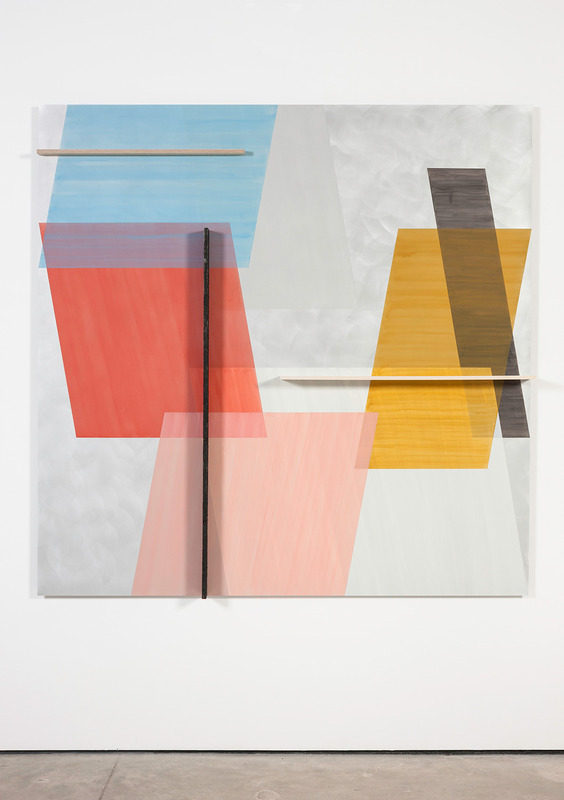 These paintings follow a process of structural layering to expose differing, carefully constructed images – representations that in turn reveal and obscure architectural ideas. 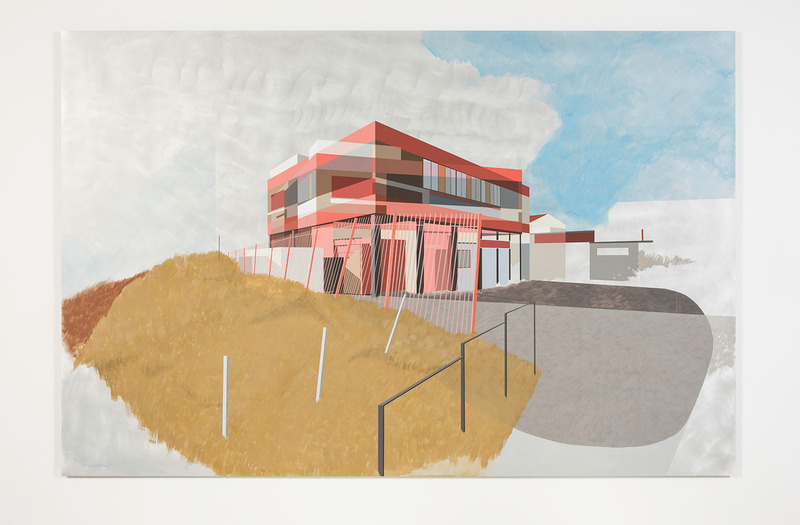 Using a variety of view points simultaneously, one of these pieces ‘The Red Tavern’ explores a building from the site Paterson is intrigued by, its rendering offers precise visual information in a way that becomes partially unintelligible and chaotic, loosely painted elements conspire to provide an instantly understandable landscape context. 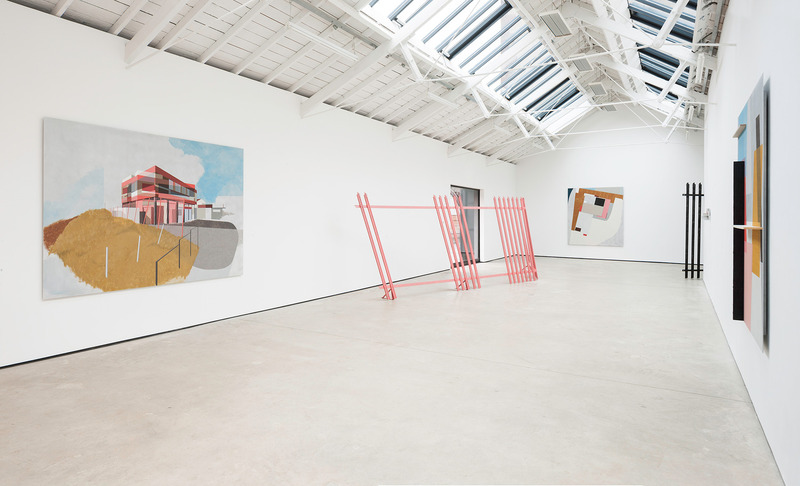 Although stemming from a specific location, Paterson’s painted structural images and aluminium relief work (‘Rhubarb Fields’) remain anonymous, deliberately unattributed and barely identifiable. For Paterson, the assembling of this exhibition is not so much the process of analysing the complexity involved in the unfolding of an image after such an encounter, but more an attempt to simply acknowledge the endlessly complicated way visual experience is assembled. 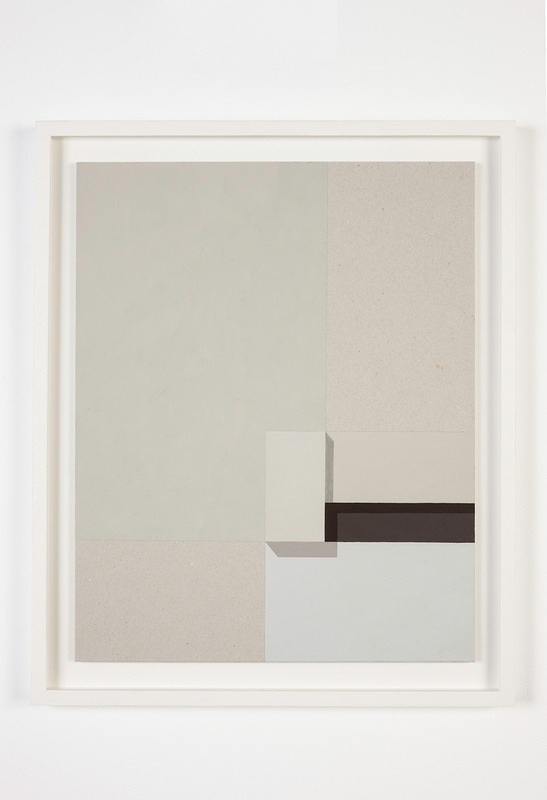 Toby Paterson (b. 1974, Glasgow) lives and works in Glasgow. Paterson has presented numerous public commissions and exhibitions internationally. 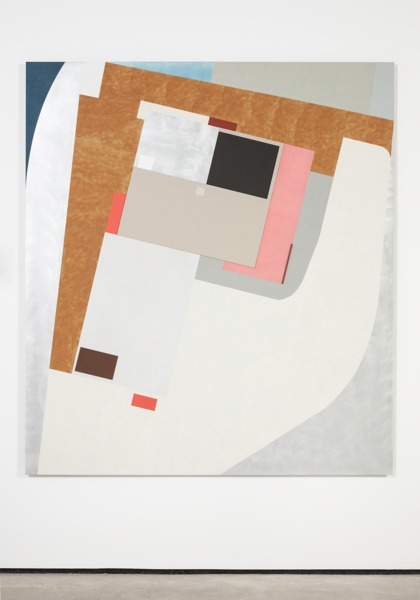 Selected solo exhibitions include: ‘An Experiment for Total Environment’, Durham Art Gallery, Durham (with works by Victor Pasmore, 2012); ‘Remnant’, Glasgow Print Studio, Glasgow (2012); ‘Quotidian Aspect’, Le Grand Café, Saint-Nazaire (2012); ‘Inchoate Landscapes’, Peacock Visual Arts, Aberdeen (2011); ‘Consensus and Collapse’, Fruitmarket Gallery, Edinburgh (2010); ‘An Isometric Plan’, Tate St Ives, Cornwall (2004); and ‘New Façade’, CCA, Glasgow (2003). Selected major public commissions include those for: Stroom Den Haag, The Hague (2013); Docklands Light Railway, Stratford International Extension, London (2010); and BBC Scotland Headquarters, Glasgow (2007). Paterson has also participated in group exhibitions worldwide, including those at: Museo Tamayo, Mexico City; The Museum of Modern Art, Warsaw; Wattis Institute for Contemporary Arts, San Francisco; and ICA, London.